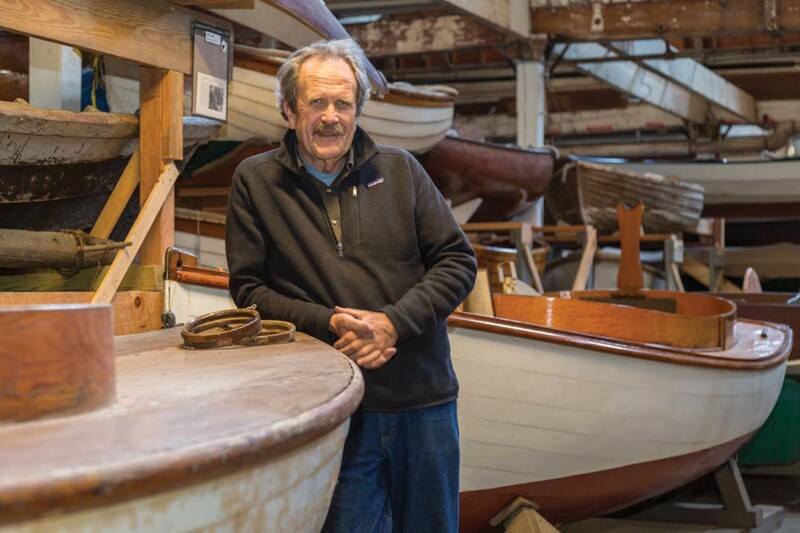 Dana Hewson started his career at Mystic Seaport in 1977, when he was hired as the institution’s first full-time shipkeeper. 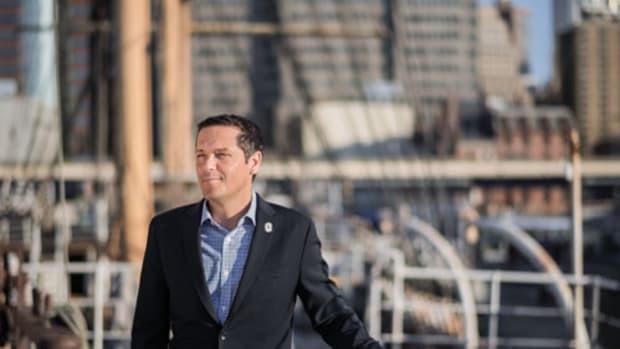 He was soon promoted to vessel maintenance supervisor and after eight years took the reins as the director of the Shipyard Department and curator of watercraft. 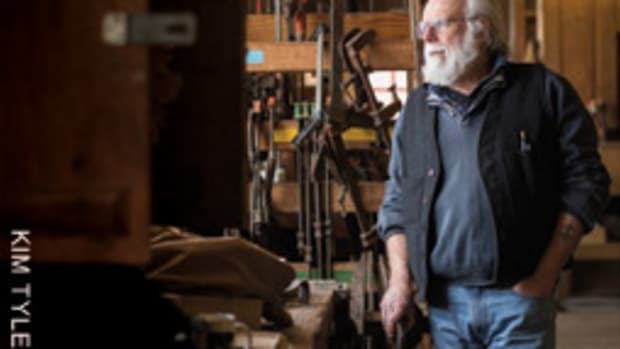 He has been vice president for watercraft preservation since 1989, sometimes also overseeing facilities or watercraft programs. 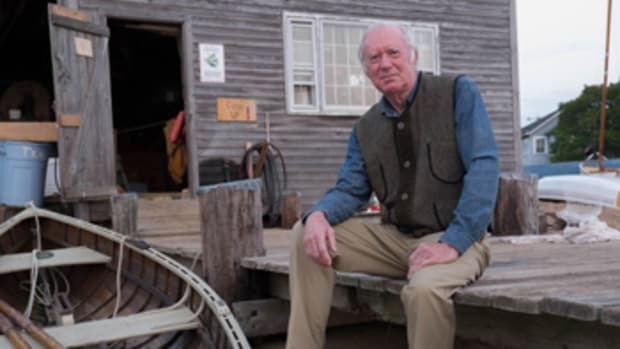 When he retired this spring, Hewson stepped down as vice president for watercraft preservation and programs, and Clark Senior Curator of Watercraft. We couldn’t let him get away without asking him a handful of questions. 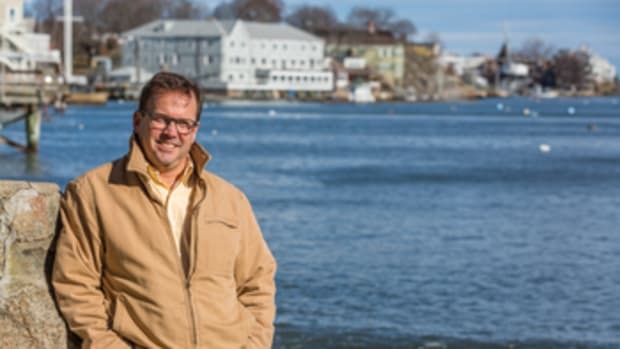 First memory of being on a boat: The one that comes most to mind is my father and uncle having rented a skiff in Warwick Cove on Narragansett Bay and taking my cousin and me day-fishing off Warwick Neck Light. As I remember it, there was a confused chop, which made being anchored in a flat-bottom skiff rather uncomfortable. And, of course, we didn’t catch a thing all day. 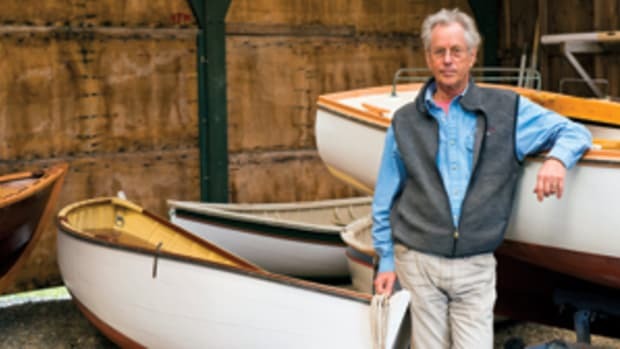 First boat you owned: I had a National One Design sailboat when I was in high school. Old boat at the time, but I had a blast with it. I was able to keep it on a mooring in Warwick Cove, which was a block or two from my home. Your current boat: Sara — my wife — and I have a 22-foot 1990 Tripp Angler with a cuddy cabin. This summer will be our third summer with the boat. She is very handy and a great dayboat. We plan to spend a lot of time on her this year. Favorite boat you’ve owned: Our present boat. 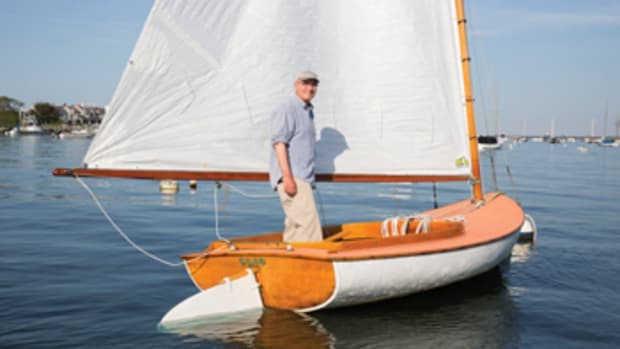 Your dream boat: A well-built, in good condition, wooden cruising powerboat based on a traditional New England design, in the 28- to 35-foot range. 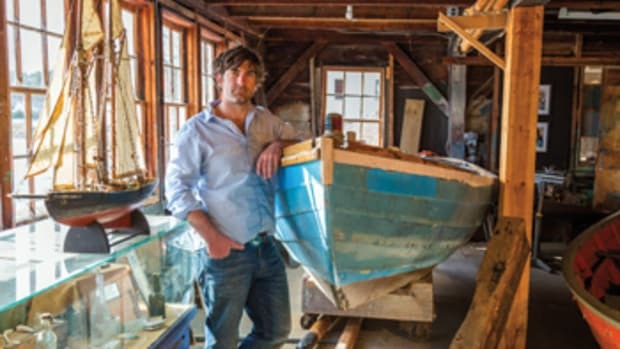 It could be based on a Maine lobster hull or more of a displacement-style, such as a Noank-style or Post-built boat. Post had a very interesting line of Seagoin’ boats designed for commercial or pleasure use. 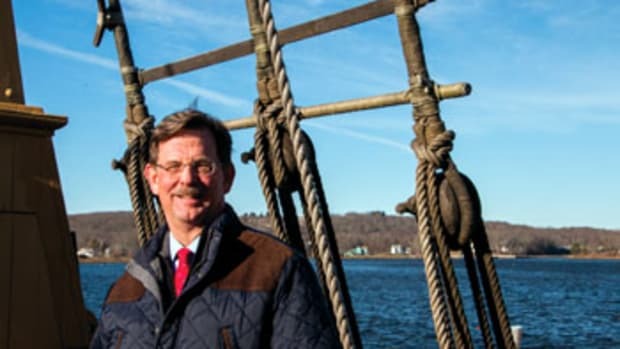 Most memorable experience aboard: Having spent nearly 40 years employed by Mystic Seaport, all involved with the watercraft collection, I have spent countless hours with the Charles W. Morgan. When I arrived she was undergoing a major restoration, and throughout my career at the museum she has been a constant. There were periods of restoration; ongoing maintenance, including periodic haulouts; tending during storms; snow removal; further major restoration; planning and preparation for her 2014 voyage; and the voyage itself. With that as a backdrop, being on board for her first day sailing in over 80 years was certainly a memorable experience. Favorite boat in the Mystic Seaport collection: I was involved in the acquisition of Roann [an Eastern-rig dragger], and one of these days she will be the last of her kind still afloat. And that’s because she’s been here, and she’s been restored. She and Brilliant [a schooner designed by Olin Stephens] are form following function. They were each designed for a purpose and are still operational. They are teaching vessels. They are still doing what they were meant to do. Brilliant has sailed with more than 10,000 teenagers on board. We have four National Historic Landmark vessels at Mystic Seaport, the highest designation of historical importance in this country. All were restored during my career. Proudest contribution to Mystic Seaport: Certainly the Morgan was the most important to the museum. Her influence on me and my influence on her were equal, I think. For the Morgan, it was her second major restoration, and for me, to be around that and to be responsible for maintaining her … and, of course, the voyage was a pinch-your-cheek moment. That was a significant moment for me personally and for the museum. Why is it important to share and safeguard our maritime heritage? The sea and our relationship with it have been constants in our development as a society since the earliest days of our continent’s settlement by Europeans. We are a maritime nation, and it is of great importance that we know and understand that. Without that, we cannot understand our culture, or place on the world’s stage, or our need for political stability relative to the oceans. I believe that in the very near future the sea will become the major geopolitical force acting on the world’s society, and an understanding of our relationship with the sea is going to be critical. Museums, maritime museums in particular, will play an essential role in helping people grasp what is happening and what the outcomes will be. Favorite nautical book: All Brave Sailors by J. Revell Carr is an amazing read. Survival at sea, World War II, tragedy, all wrapped up in one wooden lifeboat. On a personal level, Mystic Seaport had the boat in its collection for decades, and during my time it was stored in the Watercraft Hall. Working one’s way back into that collection and coming on this rather nondescript boat was always a chilling experience. People had starved to death, with only two surviving. … The notches in the rail marking the days became fainter and fainter until they stopped — short of the full duration of the voyage. Revell Carr was my boss, a mentor, my close friend, and I was somewhat involved with the boat’s transfer to the Imperial War Museum in London. Favorite nautical cause you support and why: Mystic Seaport. I feel that the museum, with its broad collections and programs, plays an essential role in the preservation of our maritime heritage. These aspects of our shared history are vital to an understanding of world history.